Renovation of interior district courtroom renovation with major focus on lighting and security upgrades. 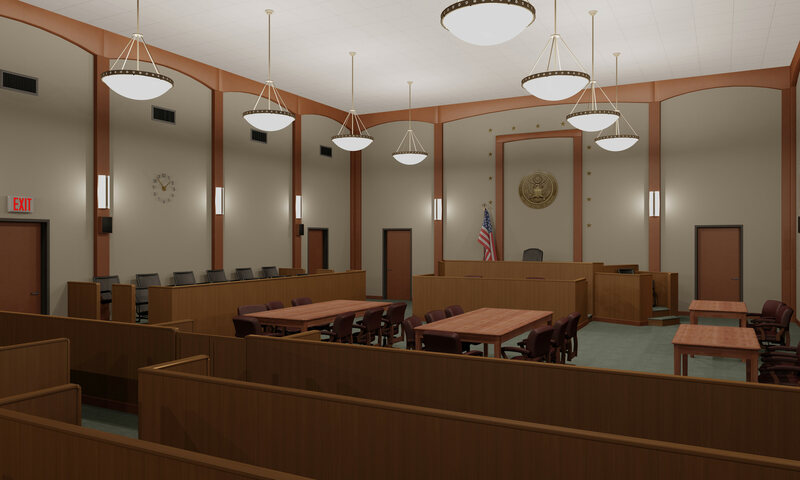 3D modeling of was used to create photometric interior renderings and a lighting study of the courtroom, to accurately depict various lighting conditions and fixture selections. 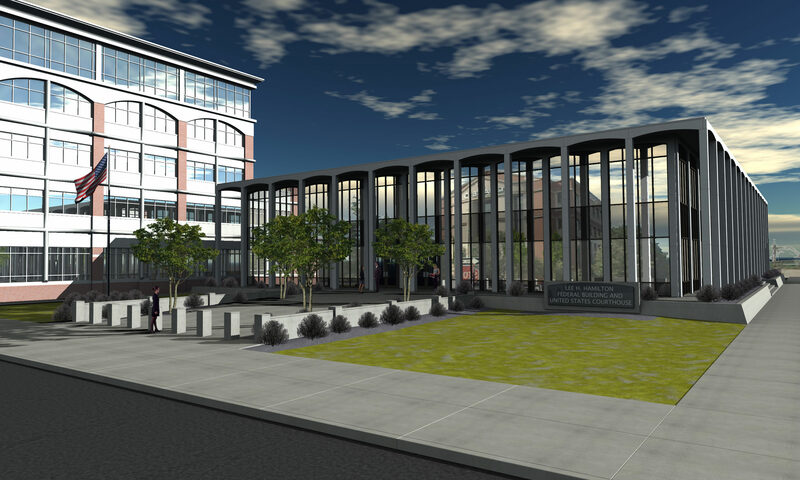 Renovation of exterior courthouse entrance plaza, parking lot replacement, and master plan site work. Replace motorized gates, site storm drainage, and new sidewalk around the property perimeter. 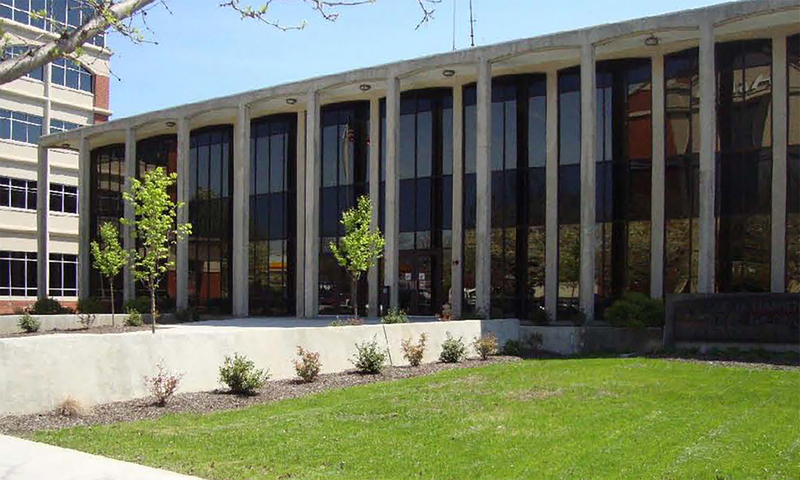 Entrance upgrade include impact barrier protection at the building entrance.